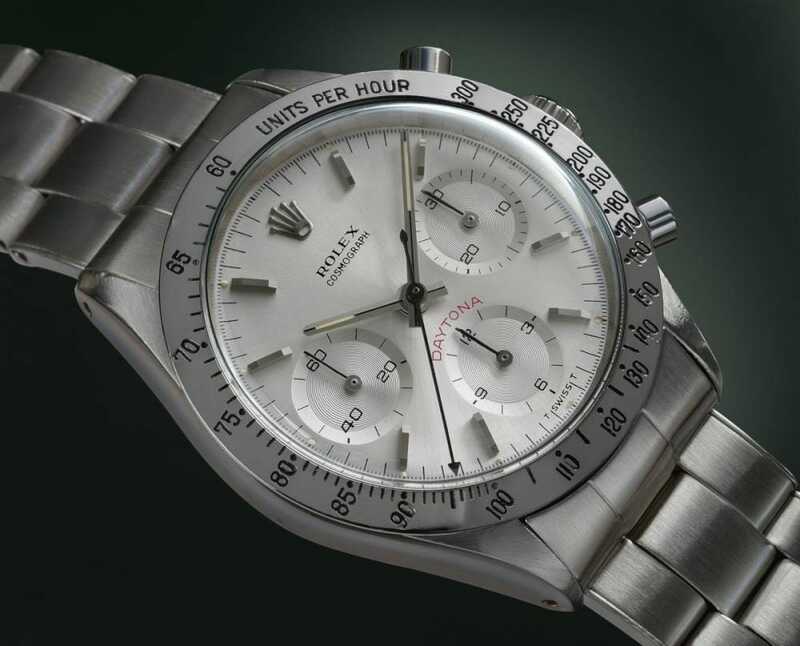 One of the rarest vintage Daytona models every made by Rolex is the “Albino” Daytona reference 6263. This unique watch is nicknamed “the Albino” because it features a pure silver, monochromatic dial giving it a monochrome look. Not much is known about the origins of the ultra-rare Albino Daytona, though the Albino is the only known Rolex Daytona model to feature this stark look. 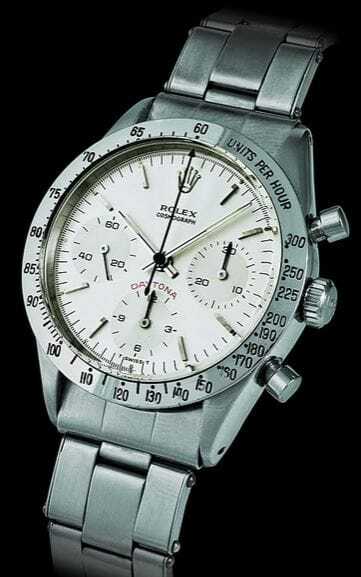 This is a vintage Rolex Albino Daytona was held by Eric Clapton. The Albino Daytona is a highly luxurious watch that is nearly identical to the Rolex Daytona ref 6263 with both featuring a stainless steel case and Valjoux-based movement. The pale dial and subsidiary dials feature black painted markers while the main dial is marked with silver baton markers. The hands are a combination of black and white. Some versions of this rare watch feature the “Daytona” name written above the 6 o’clock subsidiary dial in a highly contrasting red. One of the most famous Daytona models belonged to musician Eric Clapton. This special watch sold for $505,000 at Sotheby’s in New York, going for nearly five times its estimated sale price. Many Rolex collectors see this sale as the beginning of mega vintage Rolex collecting as it was immediately followed by Antiquorum’s “Rolex Revolution” sale. This special watch received the second highest dollar amount ever paid for a Rolex watch at the time. The Albino Vintage Daytona that was sold at an auction was sold for over 500k. The Rolex Albino Daytona is certainly one of the rarest Rolex watches to date. Currently, only three versions of this model are known to exist. The first is the model sold by Clapton, the second was found in 2008 and the third in 2013. Not only is this watch extremely rare, but it also offers a classic and elegant look which can pair with any ensemble, from formal to casual. If you are a serious vintage Rolex collector, this particular watch is considered the “holy grail” of Rolex Daytona models.